"Once a residence, and now tumbling and ugly, this is one of several buildings at the ghost town of Bourne, near Sumpter in the northeast Oregon gold rush territory off State Highway 7. 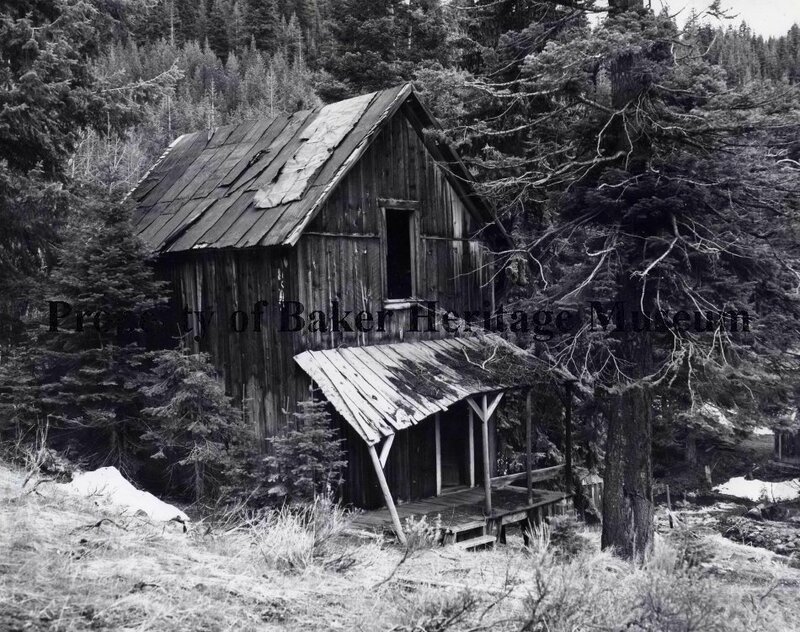 Bourne was once the scene of furious gold mining activity and wildcat stock ventures in the early 1900's. Oregon State Highway Department Photo 6451."